Axolotl Solid Surface redefines the aesthetic of solid surface materials. Extending on the products already extensive range of uses in architectural applications and manufacturing by combining solid surface products with Axolotl's portfolio of metal and concrete coatings. Be it large scale cladding, or bespoke baths or vanity bowls, Axolotl Solid Surface capitalises on this extremely versatile and unique substrate material to create new and exciting design possibilities never before seen in the architecture and design industry. 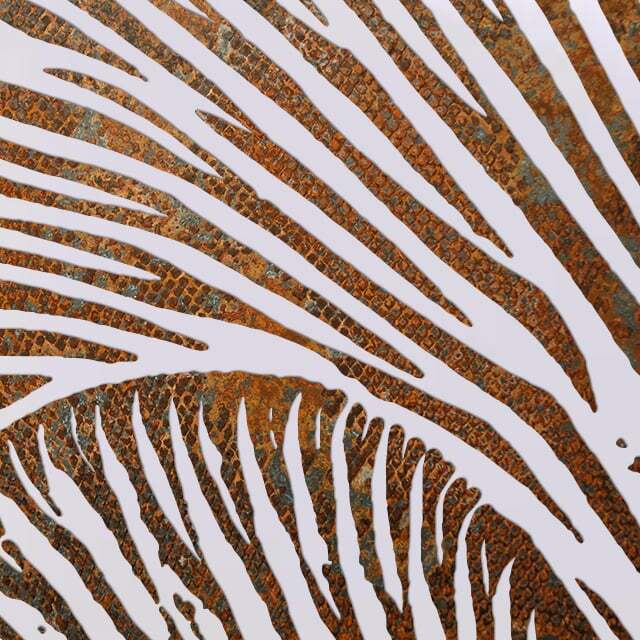 Axolotl's range of finishes are ideal for embellishing solid surface products - the liquid coatings are not limited to flat surfaces and can bond to unique shapes and sizes. Axolotl's coatings can be applied in intricate bespoke designs onto one or both faces of the item to create a range of different effects. Custom patterns can also be CNC machined into flat panels to create three dimensional profiles ideal for feature walls and counter fronts. This process is particularly beautiful when back illuminated, as the varied thicknesses in the profile casts shadows and glows to accentuate the design. Additionally, Axolotl can create and supply the solid surface in thermoformed shapes or seamlessly weld panels together to create longer lengths. The versatility of solid surface products has been paramount to the success of the material to date, now with Axolotl's ability to combine new processes and finishes to the product we bring new possibilities to the future of surface design. We invite you to discuss your next project with us, and to explore the possibilities of our new Solid Surface range. For more information on the products listed please click here. Published on January 11, 2016 by Jackson Wicks.